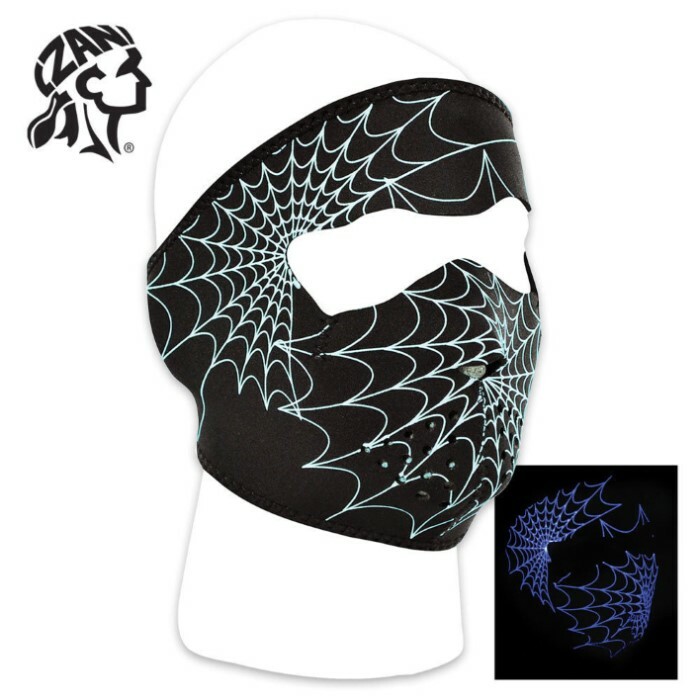 ZANheadgear Glow In The Dark Spider Web Neoprene Full Facemask | BUDK.com - Knives & Swords At The Lowest Prices! ZANheadger turns up the volume on boring riding masks with this glow-in-the-dark Spider Web facemask. The soft, stretchy neoprene material covers everything except your eyes, and it's bound with strong nylon edges for lasting durability. The hook and loop closures ensure a quality, comfortable fit every time. This facemask is also reversible, so you can turn it inside out for a black mask. 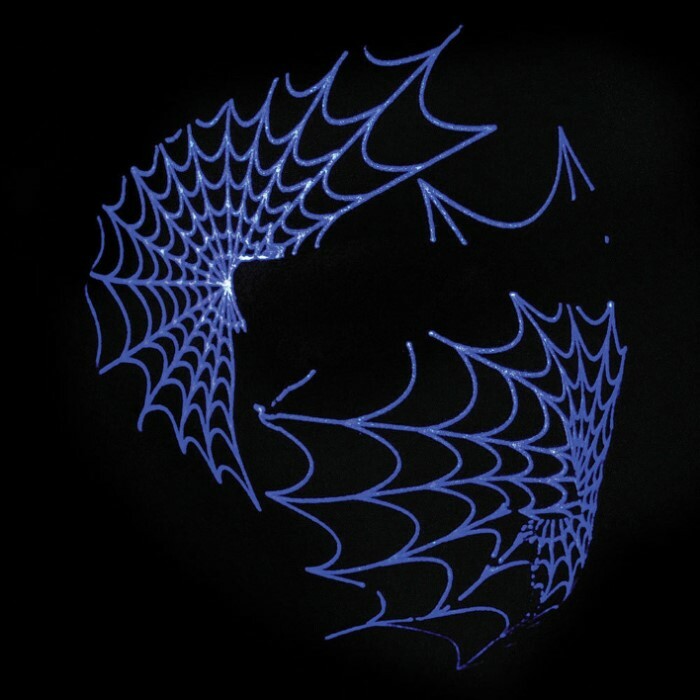 Best of all, the eye-catching spider web design glows in the dark! 70% neoprene; 30% polyester.